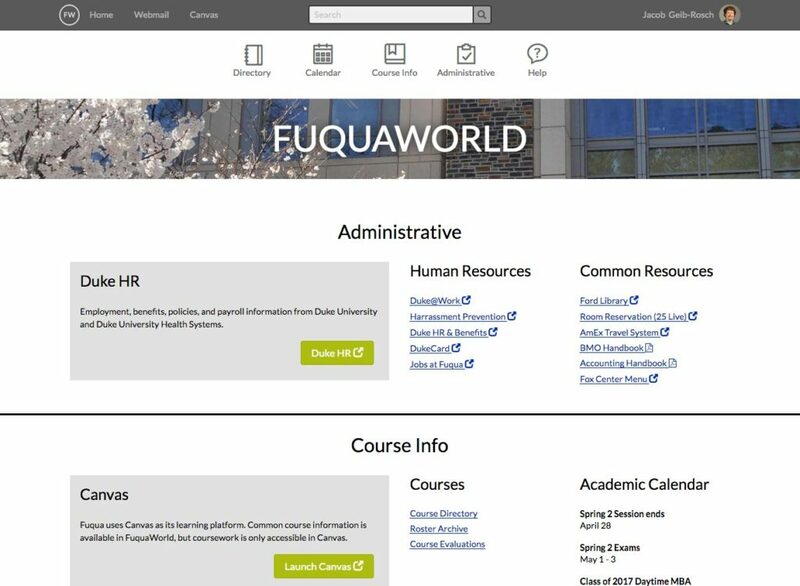 FuquaWorld is the Duke Fuqua business school’s intranet portal used by students, faculty and staff. It is a mission-critical site for many functions performed across all populations. Prior to my joining the internal and academic development team it was a 15-year-old table-based design. I provided user research, visual and interactive design, prototype development, and support for product development in a Java application using tiles and Git.